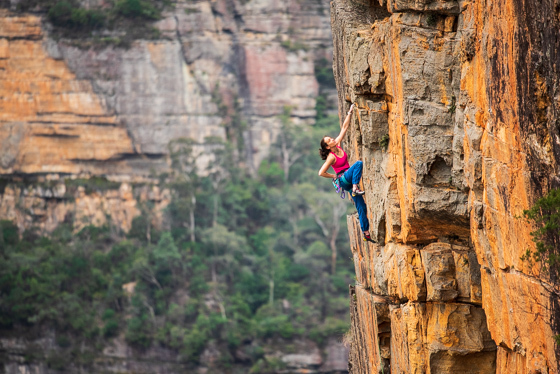 Melissa Mooney, Weakened Worrier (25), on Ben Trovarto Wall, Sublime Point, Blue Mountains. Buy print. Insane busyness for months on end now is my reason for the lack of updates from me of late. 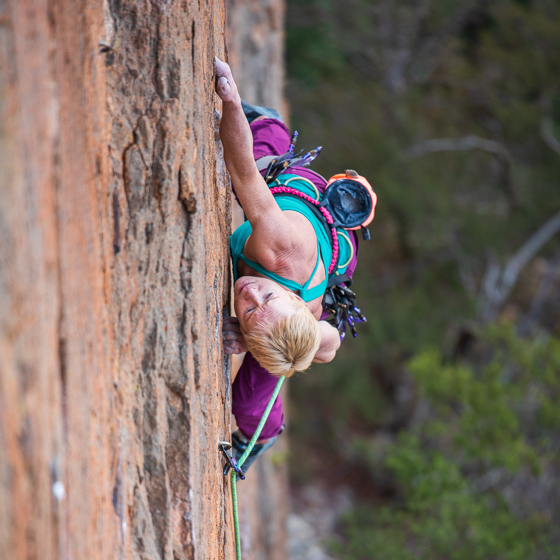 We have been working on two new Blue Mountains climbing guidebooks and, since we want these to be as good as possible, it is an absolutely humongous task. But we are getting there. The first book, Best of the Blue, is printed and available now. It covers about 1000 routes at 19 sport crags. I love this book, it’s neat! 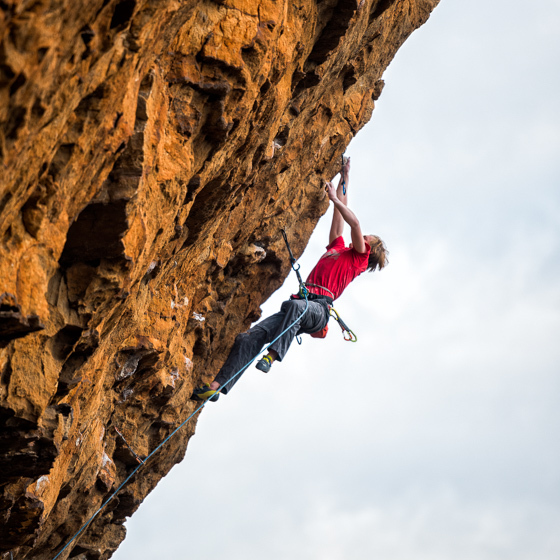 I won’t go on about it, you can get all the info about it on my web shop here, and it’s also available in the usual climbing gear shops around the place. The photos in this newsletter are from areas that are covered by this book, a little teaser to get you keen. The second book we are still working on. 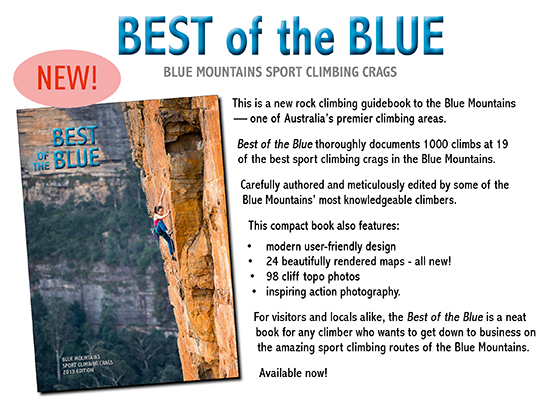 It is a thorough update and expansion of our big Blue Mountains Climbing (2015 edition) book which is very popular. This new (2019) edition will cover approximately 3500 routes at 60 crags, and will weigh in at around 420 pages. You can imagine the work when we are very thoroughly working on information across all areas, updating the design and layout, adding new areas, producing all new maps, doing photos and so on. Fortunately we’ve been getting a huge amount of invaluable help and support with this book, it’s great to know there are so many people who really care that Blue Mountains climbing is thoroughly and accurately documented. 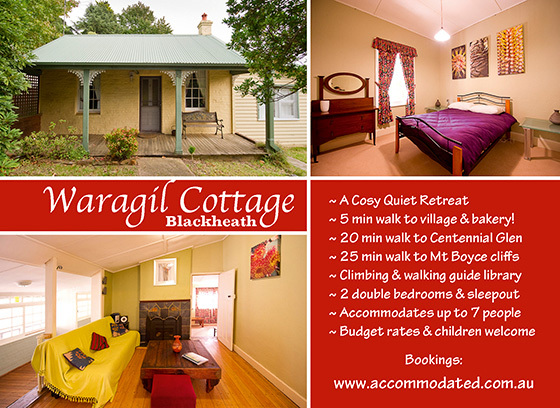 In working on this guidebook I’ve become involved with and aware of several existing and potential access issues in the Blue Mountains. 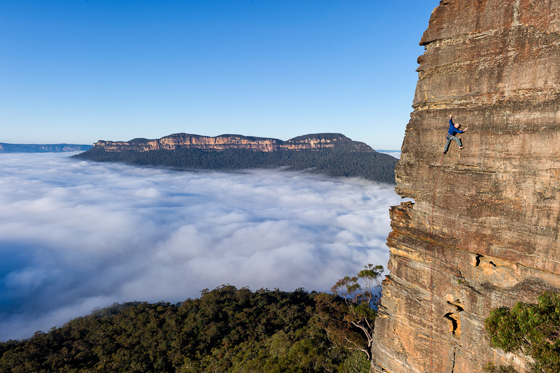 Whilst I obviously have an interest in pushing along sales of the guidebook, I really want to emphasise the importance of climber’s using the most reliable and up-to-date information on access to climbing areas in the Blue Mountains. You don’t have to buy the guidebook, but please could you at least reference it, and closely check the maps that are in it, to ensure you’re using the latest and most reliable information, not only for your own convenience, but also to ensure you’re not creating or adding to access problems now or in the future. Some examples: Logan Brae now has some very specific access requirements, please check the guidebook or this updates page before your next visit. Also, the land owners at Zap Crag have been increasingly annoyed by climbers getting lost on their property (and camping there as well), please refer to Best of the Blue for important information and a map for there. 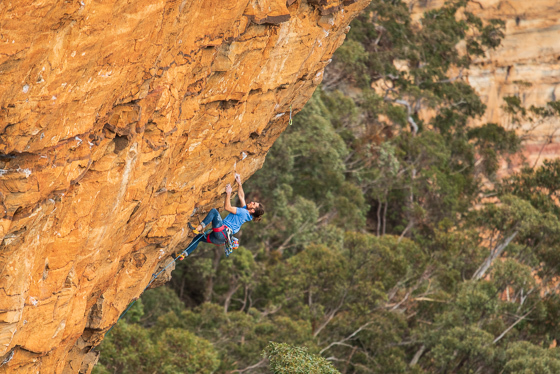 We expect the new edition of Blue Mountains Climbing will be available in early March 2019. Unfortunately, because we have been so busy work in the new guidebooks, we have not been able to produce a World Climbing Calendar for 2019. I’m very sorry for any inconvenience. I know these calendars are a staple for many, and we also have distributors around the world that we have had to disappoint this year. It was a hard decision but we decided that the work on the guidebooks was more important. We plan to be back into it again next year (with a 2020 calendar). Best of the Blue, of course! 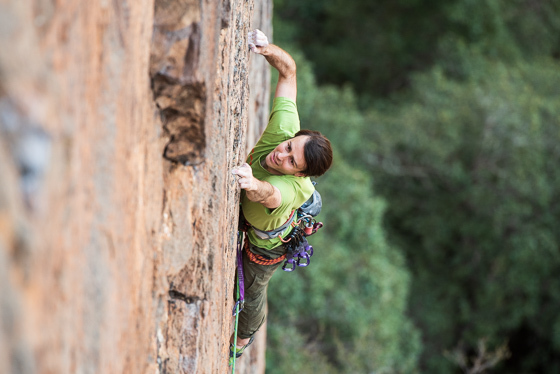 This book is great for any climber who might end up here – and locals as well! 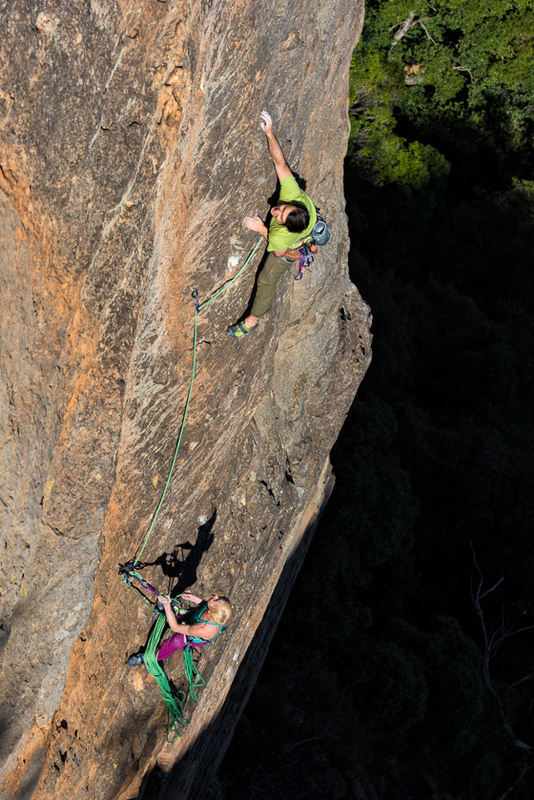 Rock Climbing Down Under: Australia Exposed. This coffee-table book is my pride and joy and a must for any climber. 80 authors, 350+ images. 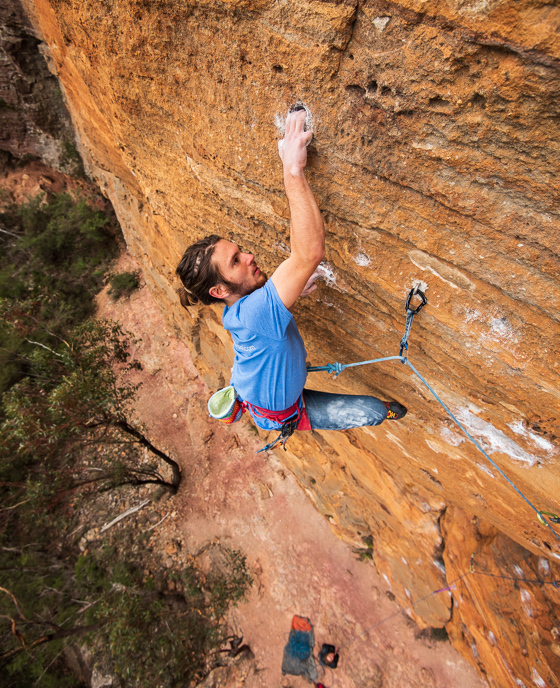 For something very special, Limited Edition copies of Rock Climbing Down Under are still available. 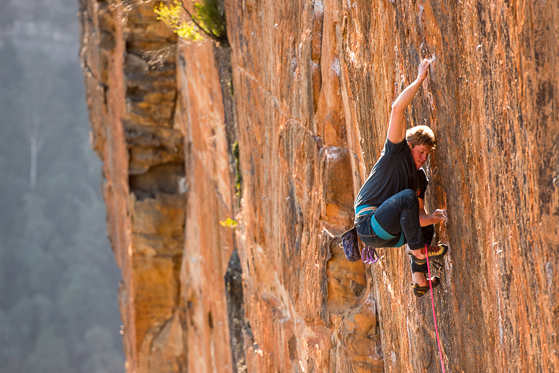 Our other Australian guidebooks, or for the traveling climber Best of the Red. This week we are giving a free upgrade on postage for all web shop orders. To ensure you receive the goods in plenty of time for Christmas, we will send ALL orders by Express Post this week, even if you have just paid for regular mail (Australian delivery of above items only). 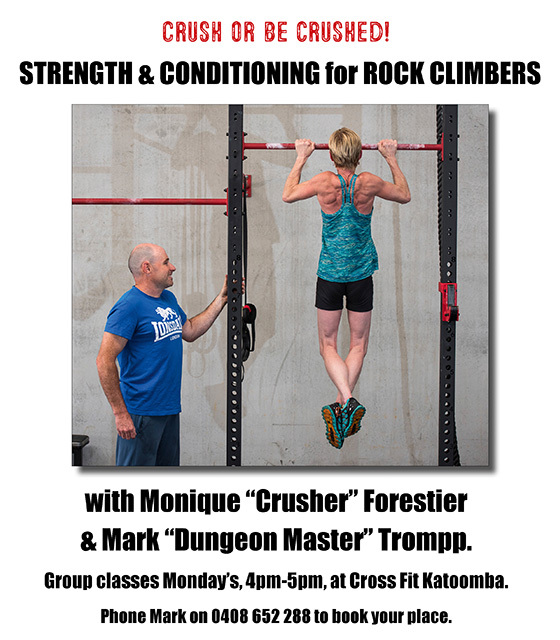 A gift certificate for coaching on rock or in the gym with Monique Forestier, just email her. A photographic print! It is too late to get these made now for Christmas but some things are worth waiting for. Hope you have a very merry Christmas — and safe travels and climbing over the break! 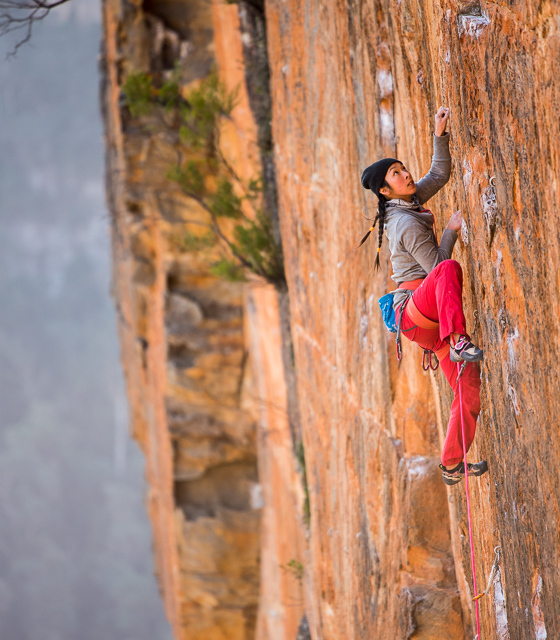 Elizabeth Chong, Reigning Steel (26) on Ben Trovarto Wall, Sublime Point. Buy print. Harry Kadi, Dark Energy (25), Farside. Buy print. Will Vidler, Brain Drain (24), Farside. Buy print. Will Vidler, Dark Energy (25), Farside. Buy print. Lewis Joseph, Sadomastication (26), Sublime Point. Buy print. Demetrius Kalatzis, Leviathan (26), at The Sporting Complex, Medlow Bath. Buy print. Eject! Demetrius Kalatzis being slayed by Leviathan (26). Monique Forestier, Smoko (23), Sporting Complex, Medlow Bath. Demetrius Kalatzis and Monique Forestier, Smoko (23), Medlow Bath. Buy print. 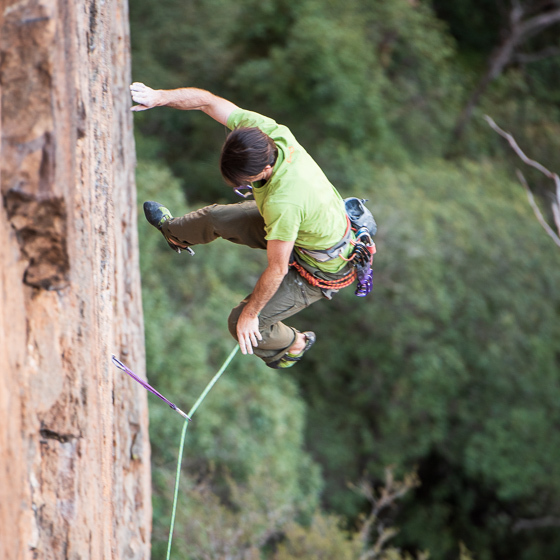 John Smoothy RIP making the most of an early start for an ascent of Checkpoint Charlie (21) in the Blue Mountains. Buy print.